Courtesy of Gary Girolimon of the Manchester Marathon Association in Glen Lake, New Hampshire. Nessie, the cryptozoological Loch Ness Monster, is a mythical creature supposedly living in Loch Ness, a large, deep, freshwater 37-kilometer loch in the Scottish Highlands. Tahoe Tessie is a cryptozoological creature which supposedly resides in Lake Tahoe, an alpine lake located in Nevada and California in the United States. Memphré is a reptile-like cryptozoological creature that is said to live in the murky Lake Memphremagog that borders Québec in Canada and the state of Vermont in the USA. Slimebo is a large slug-like creature 12-20 feet long that usually appears at dusk or dark in Lake Cane, Orlando, Florida. It may be related to the Lake Cane Monster that also reportedly lives in Lake Cane in Orlando, Florida, USA. Afanc is a lake monster in Wales that resembles either a crocodile, beaver or dwarf-like creature, and is sometimes said to be a demon. Amabie (アマビエ) is a legendary Japanese mermaid who comes from the sea and prophesies either an abundant harvest or an epidemic. Makara is a creature in Hindu mythology that is depicted as half terrestrial animal and in hind part as aquatic animal, in the tail part, as a fish tail or also as seal. Taniwha is a supernatural creature in Māori tradition that take the shape of giant lizards, reptile-like sea creatures, sharks, whales, octopuses, or monsters that lived in the ocean, rivers, lakes, caves, or the Cook Strait. Glennie is a descendent of a creature that Native Americans of the region referred to as Gtaskog that lives in Glen Lake in New Hampshire, USA. A new U.S. Masters Swimming event in southern New Hampshire pays homage to the legend of Glennie. 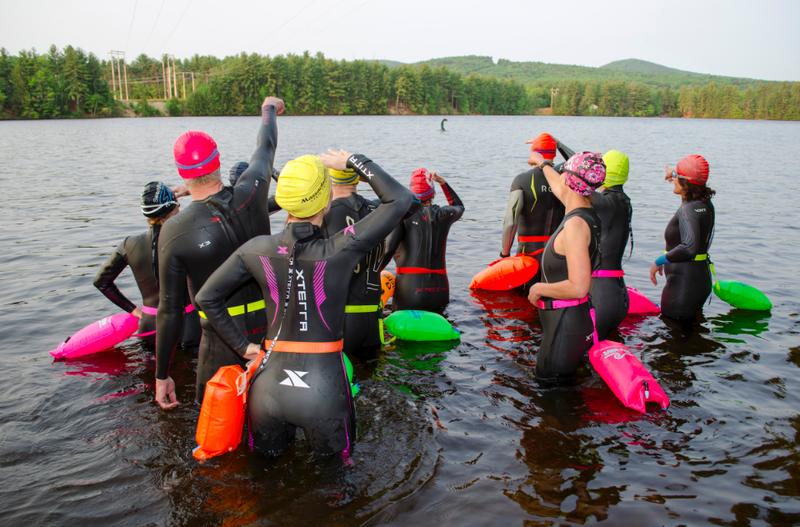 The 1-mile Glen Lake Swim: The Search For Glennie on August 12th is held in Glen Lake in Goffstown, just outside of Manchester, New Hampshire. The swim is being organized by the Manchester Marathon Association, a non-profit organization in conjunction with the Goffstown Recreation Department and the Granite YMCA to raise funds to support local outdoor recreational activities and to promote aquatic safety. For more information, visit www.glenlakeswim.com.